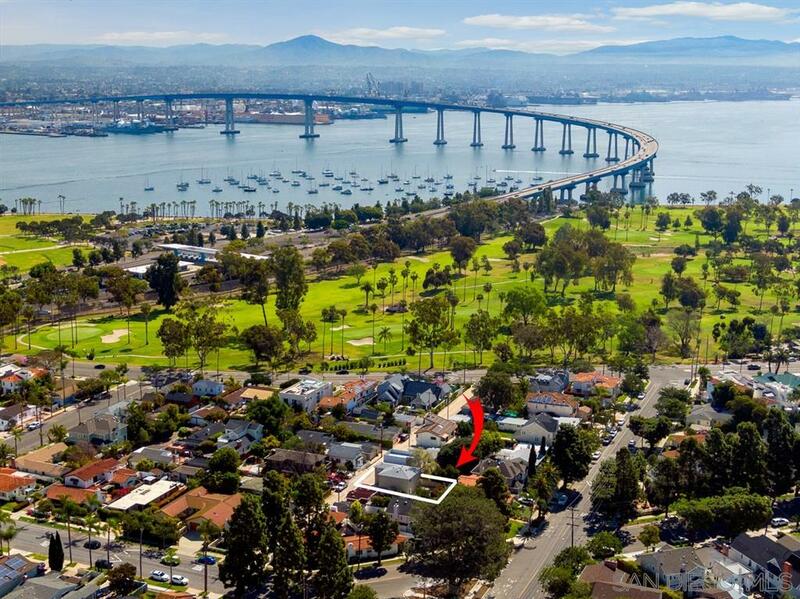 Beautiful Low Maintenance home on very quiet street just Â½ block to the Coronado Golf Course - 2 min. to Golf Club House & Yacht Club, 3 min. to the Beach, 5 min. to Downtown SD. Golfers dream. Highly Upgraded. Nothing more than 12 years old. 1 yr. Rheem A/C. 2 new Noritz large Tankless Water Heaters, Granite Countertops, Gorgeous Custom Bathrooms. Custom Oak cabinets, Ceramic Tile floors, New Roof, Ceiling Fans in all 4 BR's, Milgard Double Pane windows and sliders, Home is fully insulated & Super Quiet, Besides the super location, the house was taken down to the studs 12 years ago. New drywall, electrical, plumbing etc. Walls were fully insulated. All new Milgard double pane windows and sliders installed resulting in a Super Quiet home. Back yard fully prepared for anything. Plumbing & electrical under the slab. Add a wet bar etc.